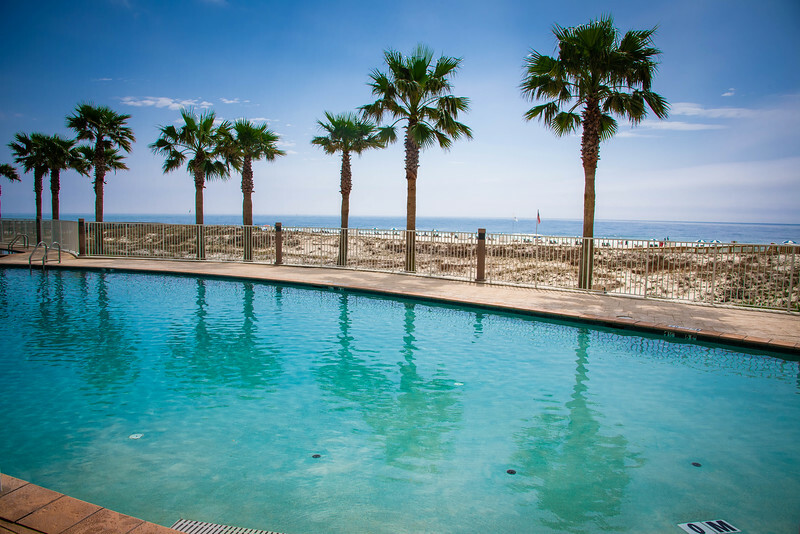 When it comes to planning your Spring Break getaway, there are plenty of options dependent on you personal preference. You could be forgiven for thinking about places such as California or Florida but I doubt many would be thinking about enjoying Spring Break in Alabama. However, after reading this post, we are convinced that your opinion will change and you will be raring to book a week (or weekend) getaway to this amazing destination. Whether you are family looking for the perfect fun-filled family getaway at the beach or perhaps a couple looking for a romantic break with plenty of luxury amenities, we think that we have found the perfect spot to accommodate everyone’s needs. Welcome to Gulf Shores and Orange Beach, Alabama! 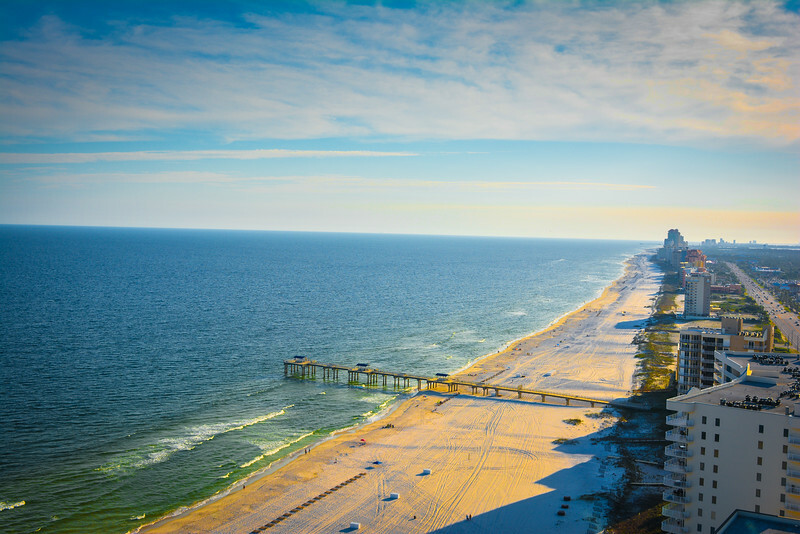 We have been fortunate to visit Gulf Shores and Orange Beach, Alabama on numerous occasions but having recently visited this spot during the quieter Spring season, we are raring to share our experiences about how we feel this is the perfect spot for everyone to enjoy a Spring Break vacation. But we have one more surprise in store that we think will seal the deal to support making Gulf Shores and Orange Beach your next Spring Break destination – Turquoise Place by Spectrum Resorts. 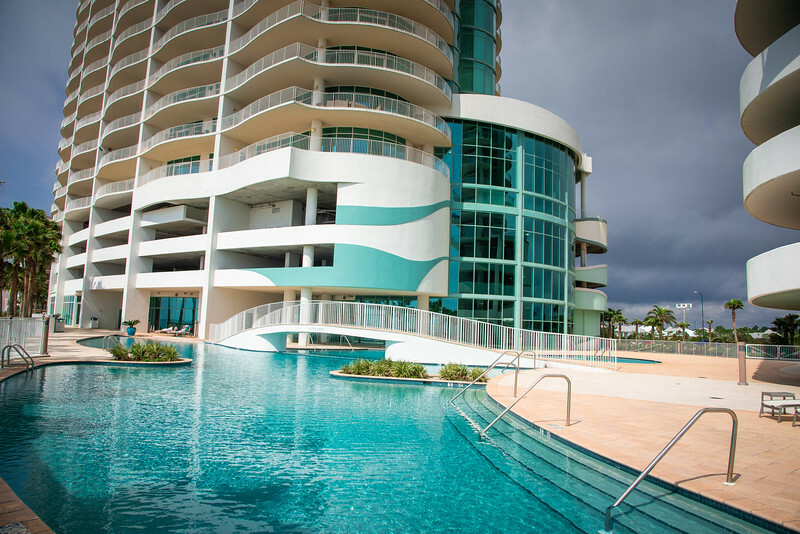 Rather than giving you a standard “review” of this luxury resort, we want to share a realistic itinerary that you could experience during a long weekend getaway in Orange Beach (this is where Turquoise Place is located). 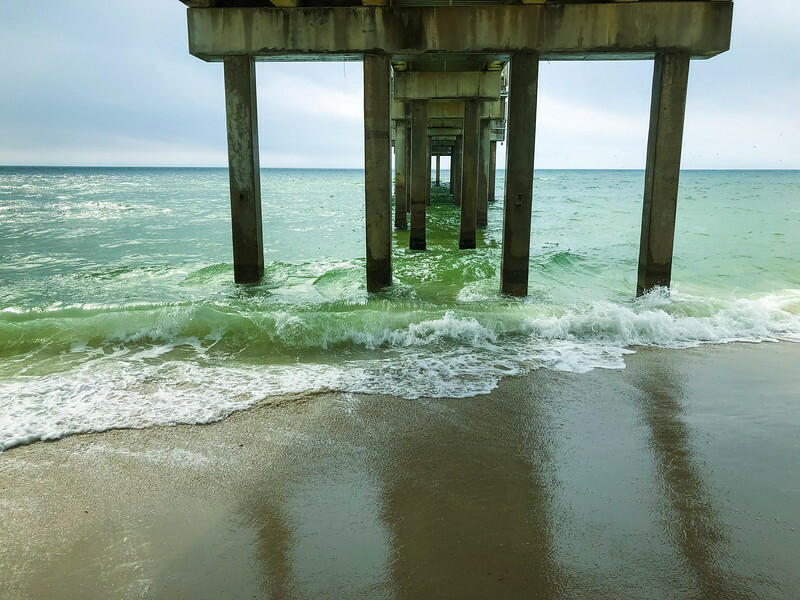 If you choose to visit over Spring Break and spend the whole week, you can easily expand on our itinerary but the focal point of any trip to Gulf Shores and Orange Beach should be Turquoise Place. Spring Break in Alabama for us is all about Gulf Shores and Orange Beach (GSOB). We have visited Huntsville which is definitely a great option for those looking for a little more history, culture and adventure but in terms of the ultimate relaxing getaway, there is no other place quite like GSOB. The beauty of spending time on the Gulf Coast is that you can create a customized itinerary solely dependent on the amount of time you choose to stay. 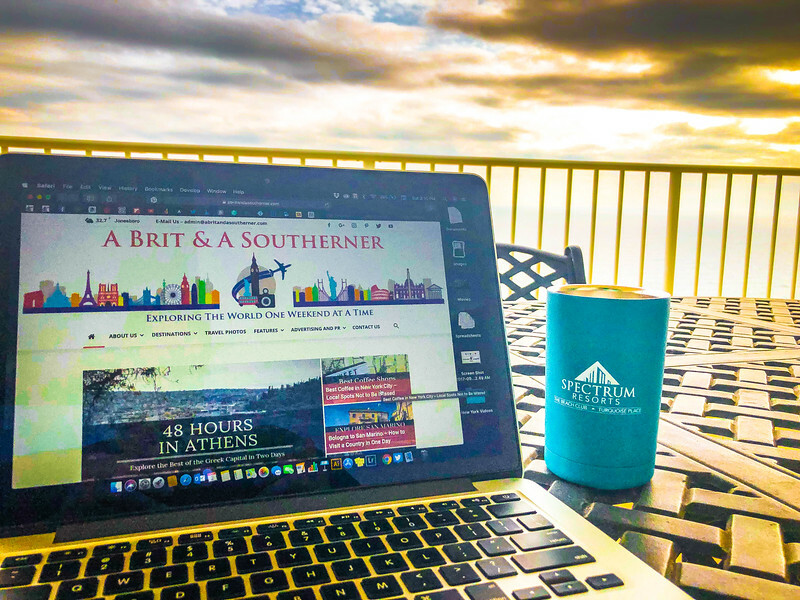 For us, we tend to take “long weekend” getaways to really maximize our vacation time but we also appreciate that many prefer to take a couple of longer trips and Gulf Shores and Orange Beach is also a great place to stay for a week. 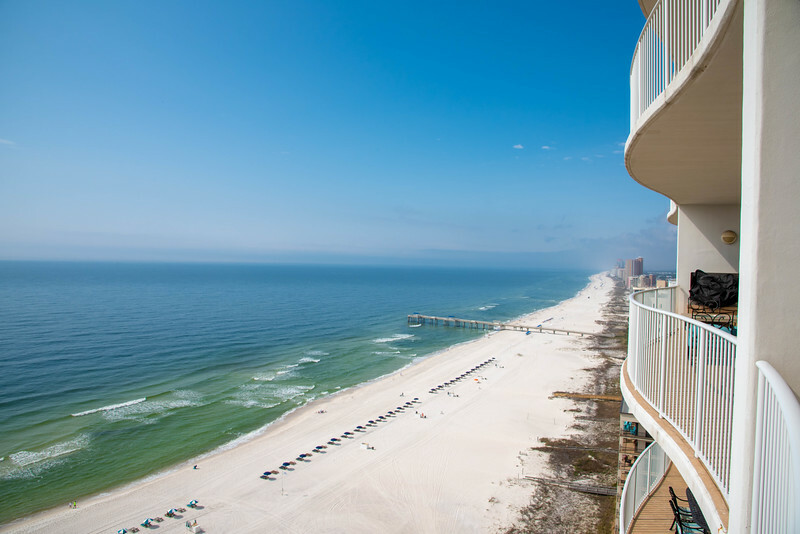 Having visited on multiple occasions, we can 100% attest that Gulf Shores and Orange Beach has a truly relaxing vibe to it. You don’t need to worry about thousands of tourists as you do at Disney World in Orlando, nor do you need to be concerned about traffic being crazy. 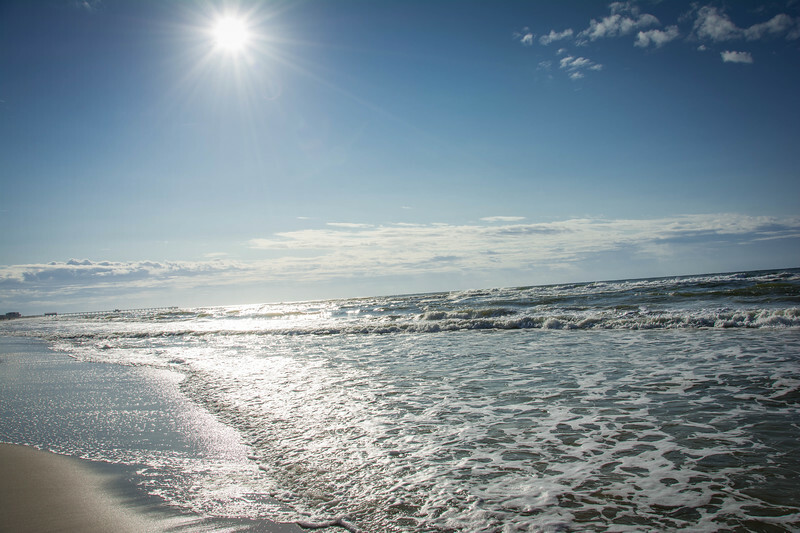 The more time you spend in GSOB, the more “relaxation” or “beach time” you can incorporate into your itinerary. Take a moment to start thinking about the perfect luxury resort. Spacious suites, myriad of amenities for all the family, on-site dining, relaxing swimming pools, lazy river, easy access to the beach. Ok, so this is a pretty extensive list but don’t worry, Turquoise Place by Spectrum Resorts checks all of these boxes and more! Epitomizing everything there is to love about ultimate luxury, Turquoise Place is somewhere you cannot help but fall in love with. Heather had been fortunate to stay here during a girls getaway to Gulf Shores and Orange Beach with her mother and sister but this was my first time…and, it’s fair to say, I was in for a real surprise! The moment I opened the door to our suite on the 16th floor, I was literally gobsmacked! 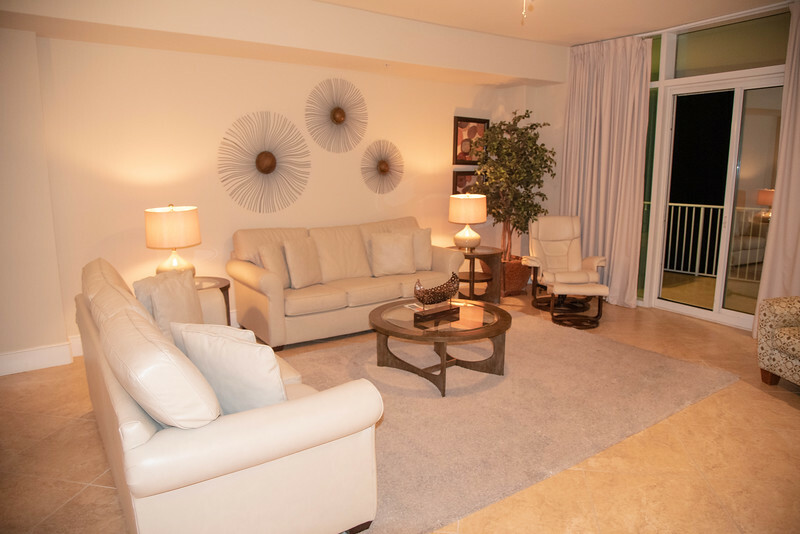 This place was HUGE, with ultra modern appliances throughout the kitchen, dining room (ice machine, wine cooler) and that’s before I had time to explore any of the three bedrooms (Turquoise Place offers 3, 4 and 5 bedroom condominiums) and their accompanying en suite bathrooms. 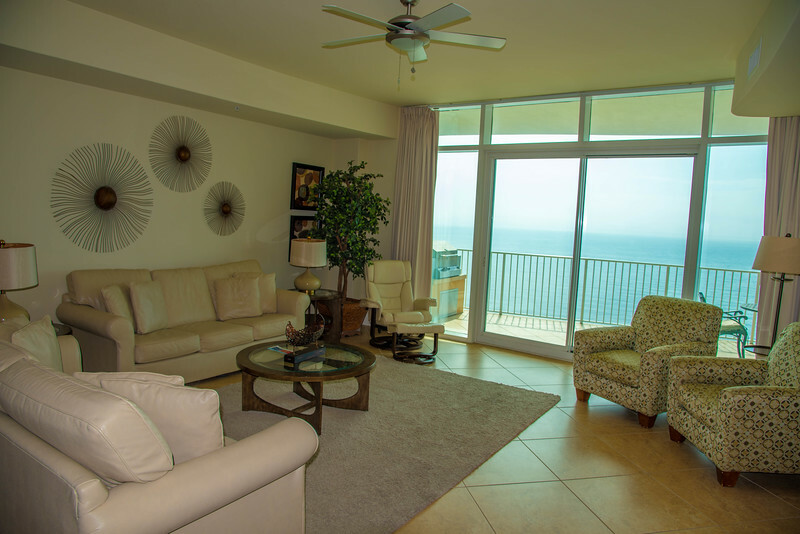 But the pièce de résistance is when you open those french doors on to the balcony overlooking the Gulf of Mexico. The question is, what are you going to be amazed by the most? 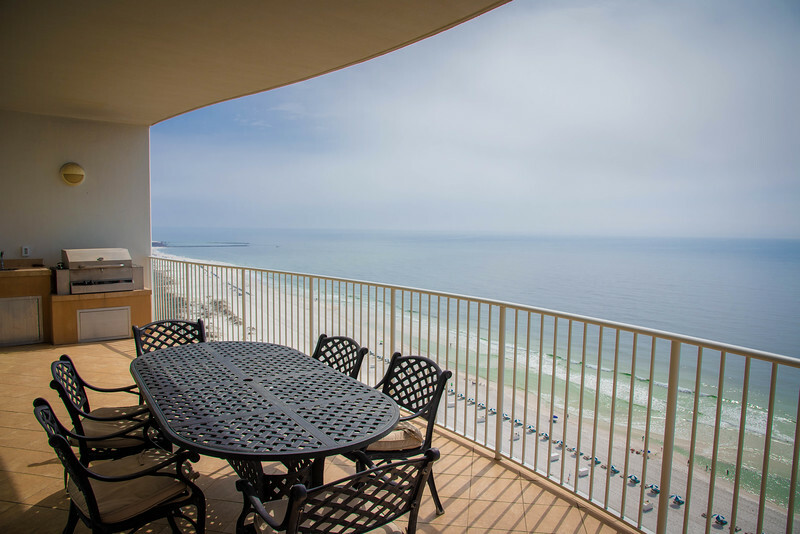 The incredible view of the Gulf, the breathtaking sight of 32 miles of pristine, white sandy beaches or maybe the balcony itself…that’s right, this balcony is massive including a grill, table and chairs and oh yes, the small added bonus of a hot tub! 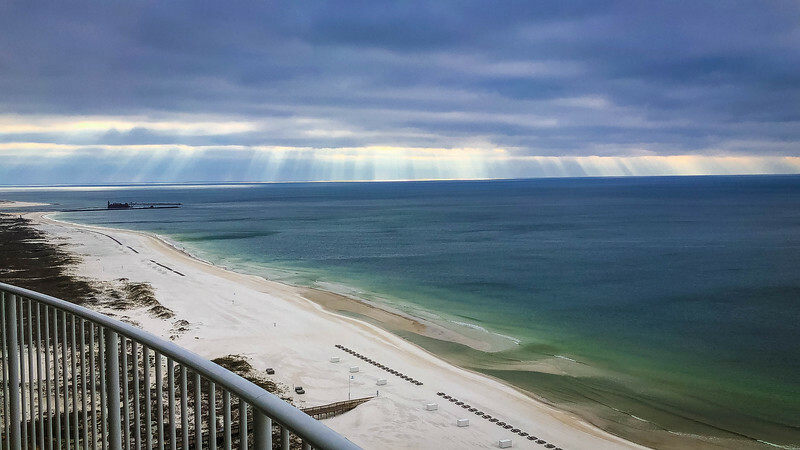 Should you decide to #ChooseSpectrum or opt to stay elsewhere, the great benefit of visiting Gulf Shores and Orange Beach for Spring Break is being able to experience the gorgeous coastline and amazing beaches that are available. You have a high probability of experiencing great weather during your Spring Break getaway as the season is just starting to warm up. One of the great benefits of visiting at this time rather than in the middle of summer is that you don’t have to deal with the crazy hot temperatures that you may have in June or July. 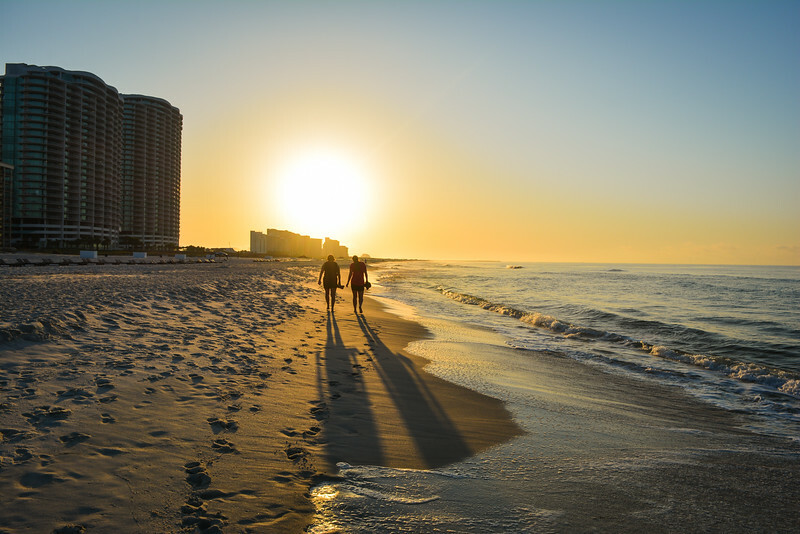 Take a morning stroll along the beach to enjoy an epic sunrise or for those that prefer to sleep in, you can always enjoy the breathtaking sunsets that we love to associate with this part of Alabama. 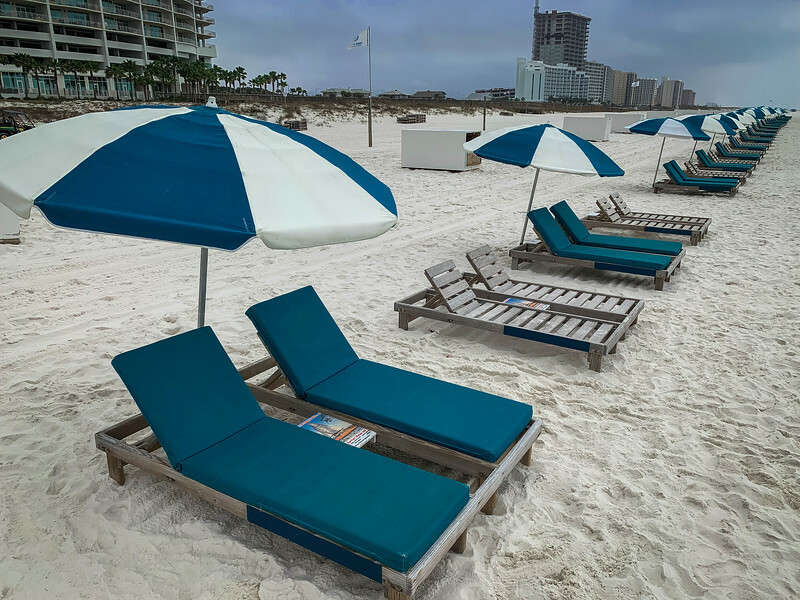 If you do follow our advice and stay at Turquoise Place, you can enjoy the awesome beach chairs and accompanying umbrella to ensure you experience ultimate relaxation while listening to the waves crash against the shoreline. The Gulf of Mexico awaits for those that want to go for a quick swim but perhaps you will want to save this for the amazing pools at Turquoise Place…we don’t blame you if you do! 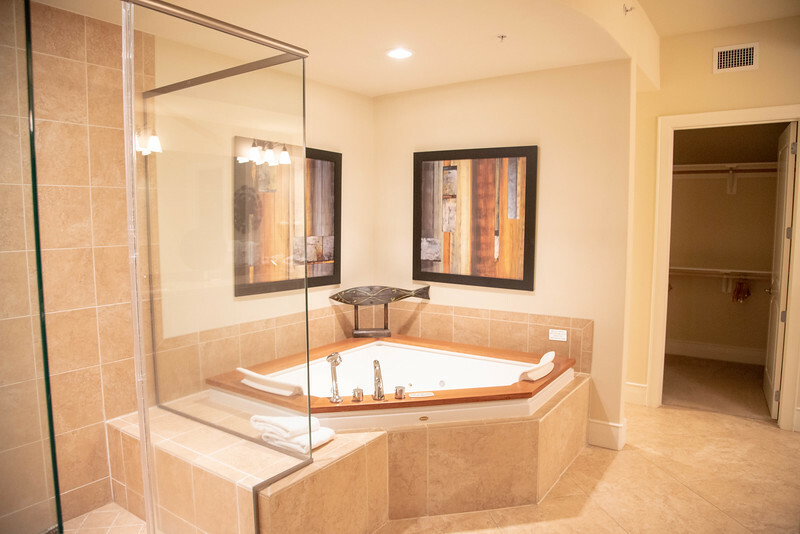 Get ready to enjoy a collection of luxury amenities at Turquoise Place and be prepared to not want to leave this awesome resort. 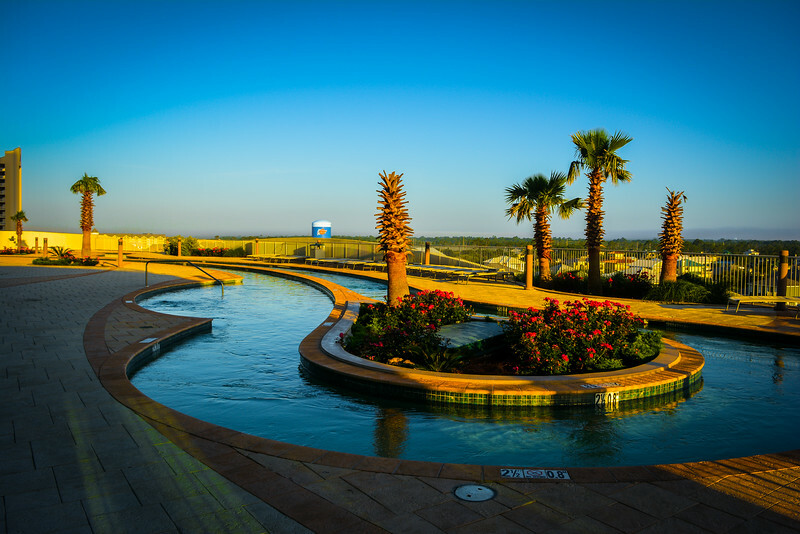 The outdoor pools offer visitors the opportunity to relax in loungers or of course, take a dip in the pool itself. On the chilly days, you can opt to visit the 5th floor and enjoy the large indoor, heated pool but regardless of your preference, there is something for everyone. 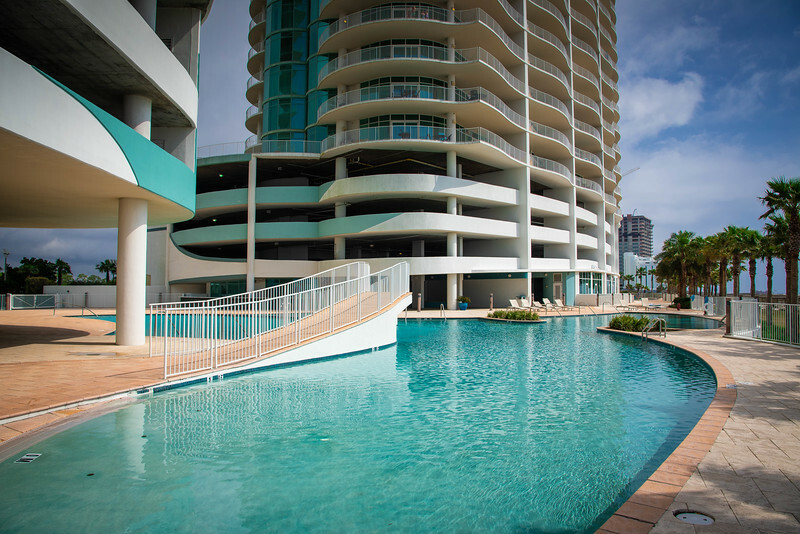 The lazy river at the front of Turquoise Place is the perfect place to gently meander around on a tube, while for those that need to burn a few extra calories, there is an awesome fully-equipped gym overlooking the Gulf. With these breathtaking views, it will surely inspire you to push yourself a little extra on the treadmill! 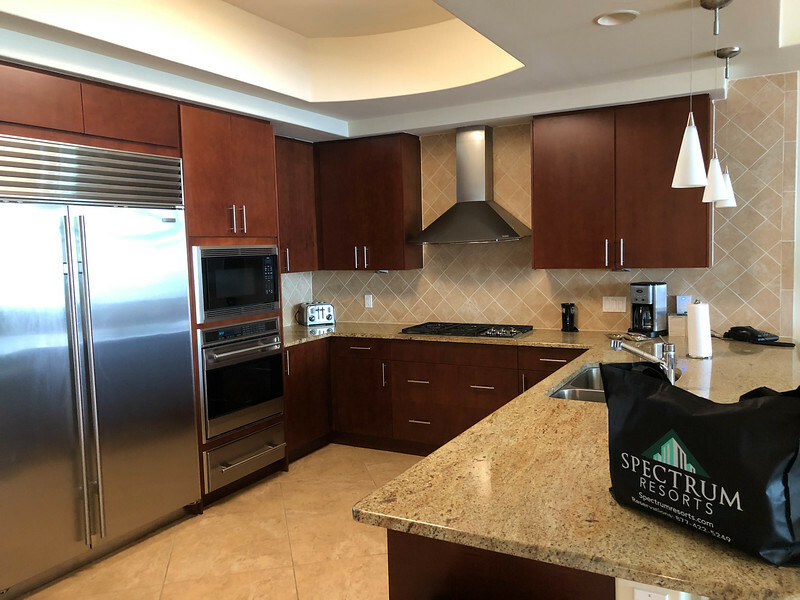 For many luxury amenities at a condominium resort is inside the condo itself and don’t worry, Turquoise Place epitomizes everything there is to love about the Spectrum Resorts brand. 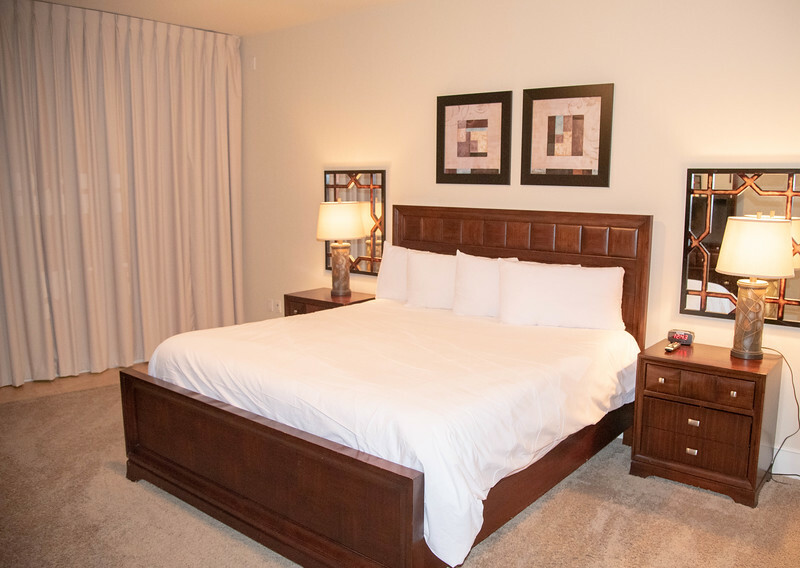 The spacious 3, 4 or 5 bedroom condos are equipped with top of the line appliances (each condo we have stayed in features Kitchen Aid and for any of you that have furnished your own home, you know these are not cheap!) and every detail is meticulously taken care of. Did you know that Spectrum Resorts, and in particular the #ChooseSpectrum philosophy, is predominantly focused on providing guests with a unique, “home from home” experience unlike anywhere else along the Gulf Coast? Let’s take a look at why we think everyone should #ChooseSpectrum when planning a trip to Alabama! Make a reservation with no money down! Clean Bed Guarantee – you don’t really just how different it feels until you sleep in a bed that is 100% clean…actually, after experiencing this at Turquoise Place (or Spectrum Resorts’ other resort which is equally amazing – The Beach Club), you will never think about sleeping in a hotel bed the same way again! 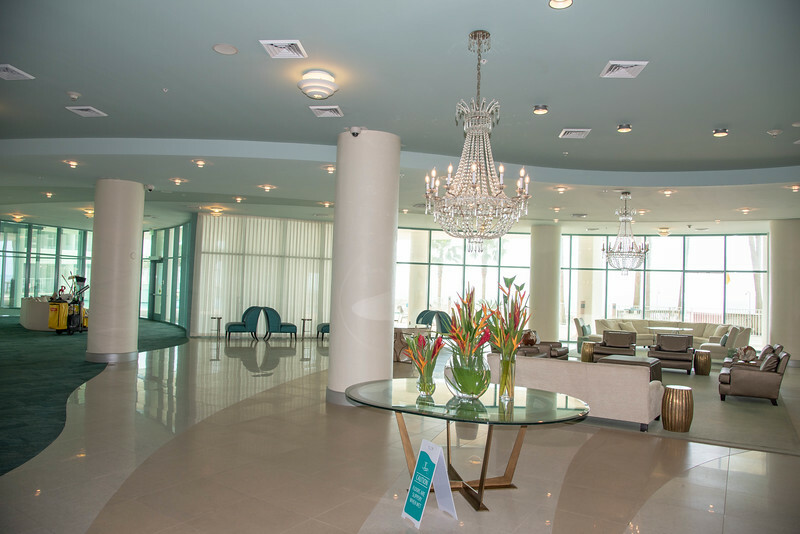 100% Satisfaction Guarantee – Spectrum Resorts is focused solely on ensuring you have an awesome stay and the moment you arrive at check-in, you realize that the customized and personalized experience that you receive is unlike anywhere else that you have stayed. 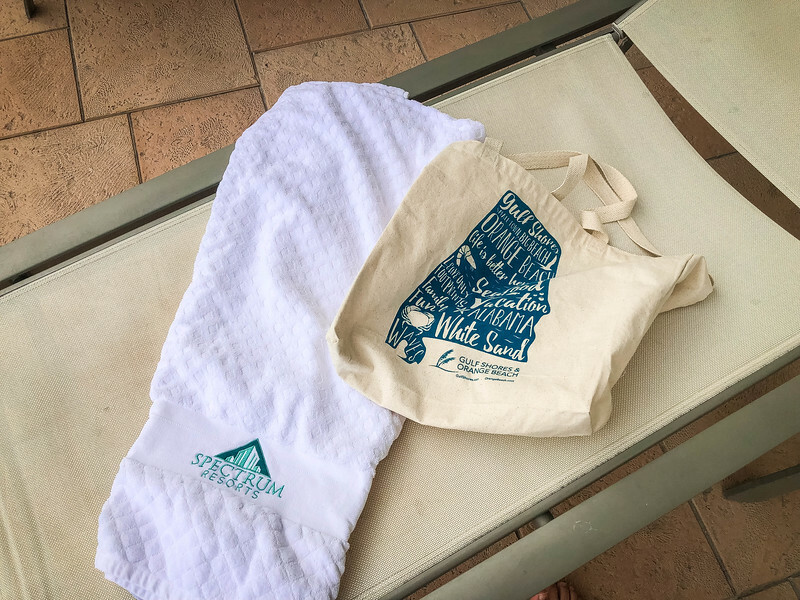 Honestly, these are just three of the ways that Spectrum Resorts is focused on creating a “cutting edge” experience for guests and the competitive advantage they are seeing from these various factors creates an amazing stay for everyone who steps foot in their properties. If you are still not convinced, check out all of the latest updates and amenities on Turquoise Place by Spectrum Resorts’ website. 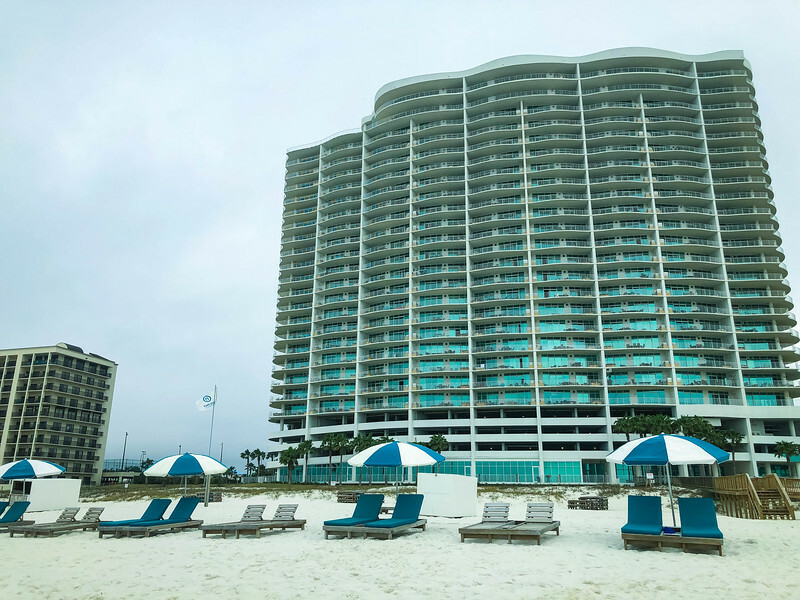 As enticing as it sounds to stay at Turquoise Place and never leave the resort (honestly, if you truly are looking for the ultimate “R and R” getaway you wouldn’t need to leave), there are so many awesome reasons to enjoy the best attractions around Gulf Shores and Orange Beach. Here are a couple of our favorites that we think you should consider, regardless of your interest level in either activity. When it comes to relaxing activities, golf is at the very top of my list but obviously I am a little biased. 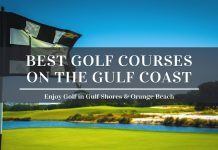 The beauty of playing golf in Gulf Shores and Orange Beach is that there is an experience out there for every standard, regardless of how serious you take it. 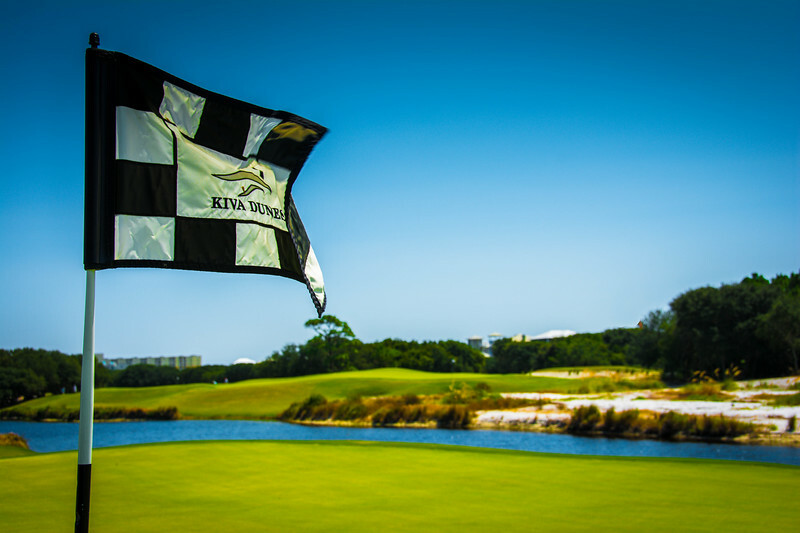 Kiva Dunes epitomizes everything there is to love about golf along the Alabama coastline. 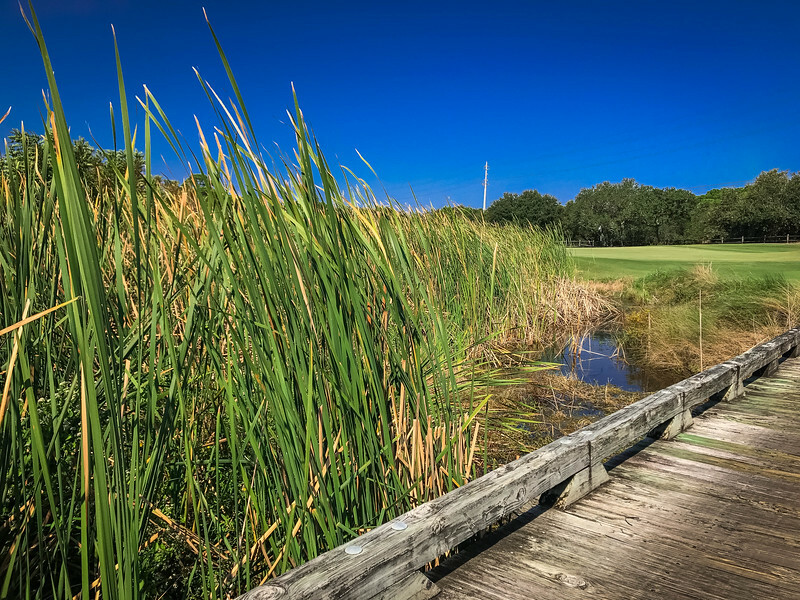 Voted the number one course in the state of Alabama and #19 in the nation, according to Golf Advisor, Kiva Dunes is an incredible landscape with breathtaking natural vistas, an abundance of wildlife and of course, a golf course that will test every skill level. 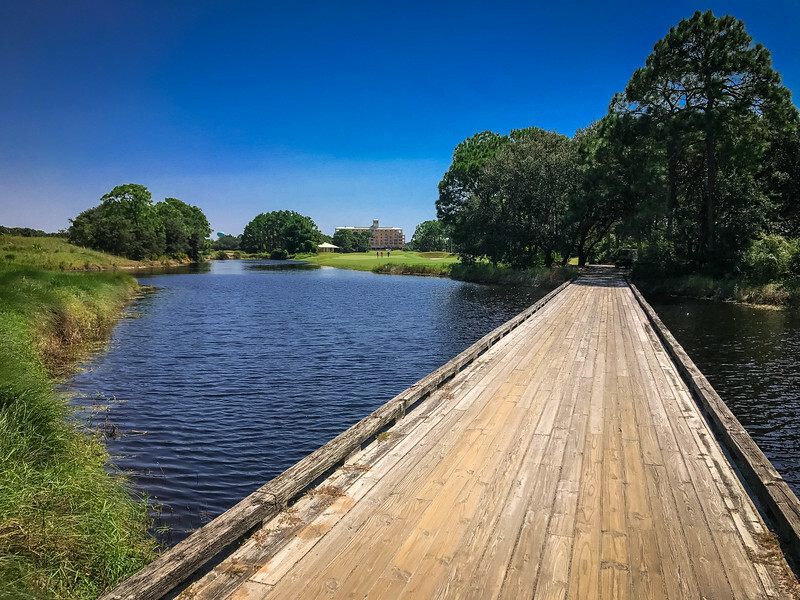 One of the best reasons why we love Kiva Dunes so much, aside from the quality of course, is the dynamic pricing feature that they have built into their tee time scheduling. Dependent on how busy the course is each day and what day of the week you are visiting, will determine the price you can expect to pay. As you meander your way through the secluded environment, you cannot help but fall in love with the pristine conservation area that surrounds you. Always be aware of your surroundings because you never know when an alligator may be relaxing on the banks of the lake…alternatively, just be sure to keep your ball on the short grass rather than venturing into the depths of the unknown! The signature 17th hole is one of the most spectacular holes I have played. If you are daring enough to play from the very back tees, this is one of the most intimidating tee shots in golf. 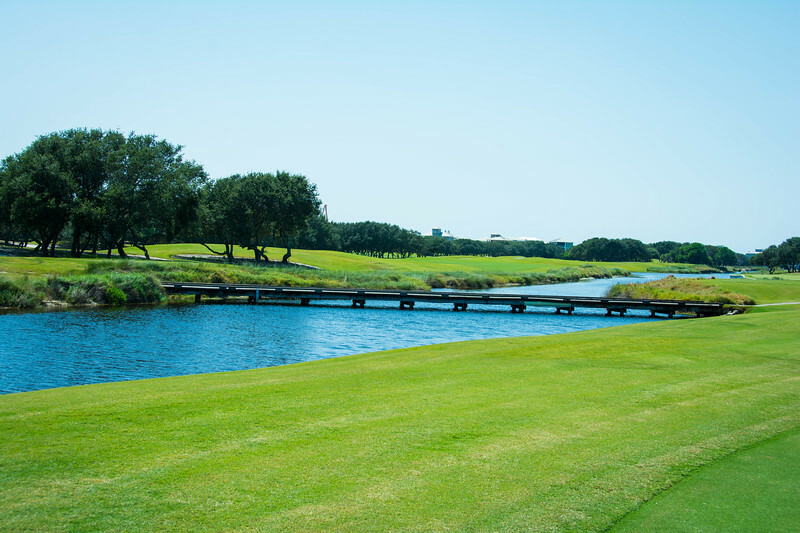 Measuring 215 yards, the illusion of an island green is apparent and although you can bale out your tee shot to the right, the temptation to hit the shot of a lifetime and go directly over the water will likely be there…it’s the ultimate risk-reward tee shot for sure! 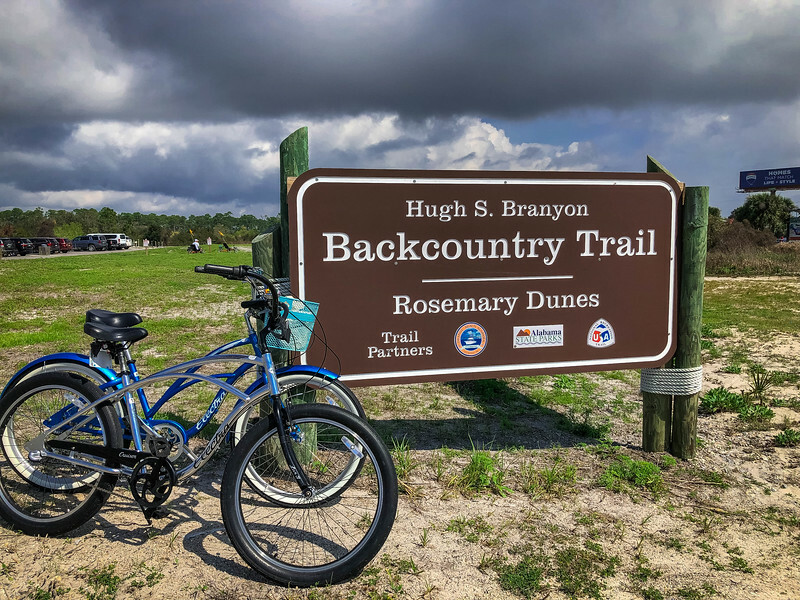 If the thought of spending four hours on a golf course is a little too much, why not get your exercise by visiting the Hugh S. Branyon Backcountry Trail complex. 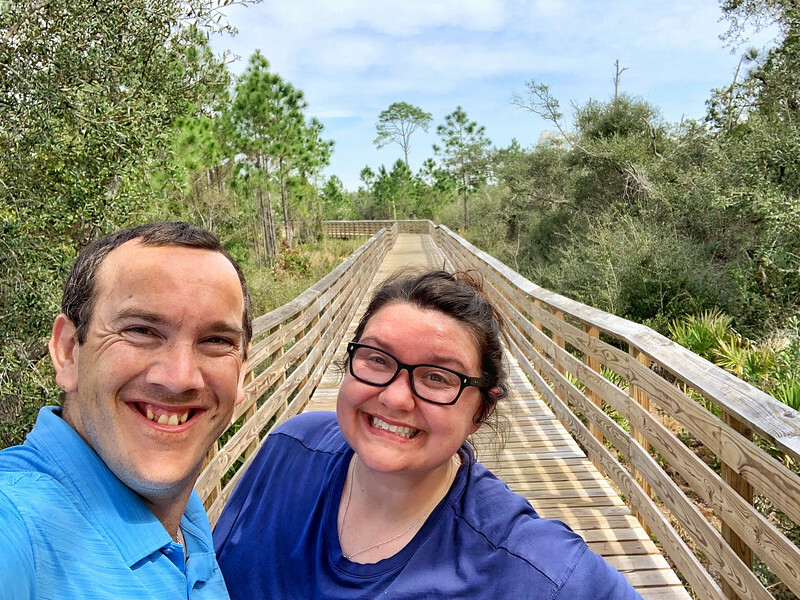 With more than 25 miles of trails to be explored, this is the perfect area to enjoy the outdoor environment and stumble across a myriad of wildlife on your adventure. From alligators to local bird species, you never quite know what awaits as you turn a corner. 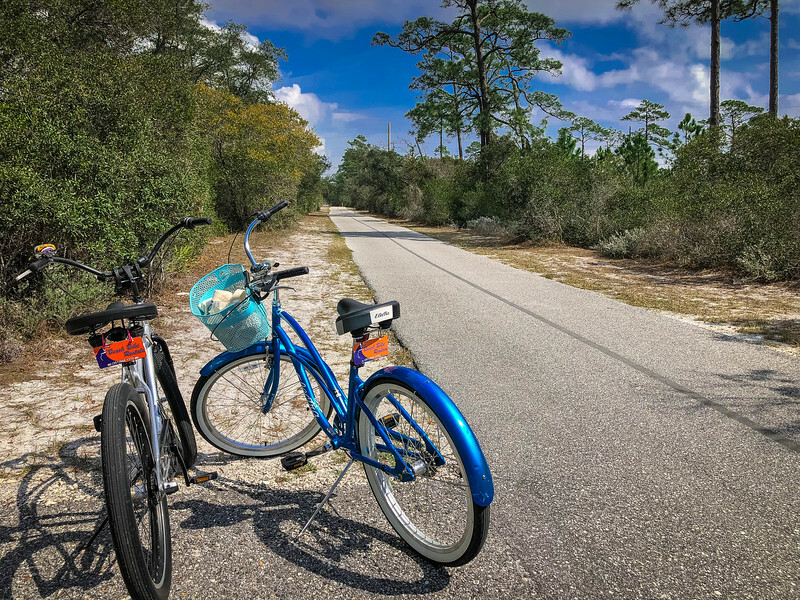 Our adventure started on Perdido Beach Highway in Orange Beach at Beach Bike Rentals. For only $25, you can enjoy these trails all day on a comfortable, three-speed cruising bike. 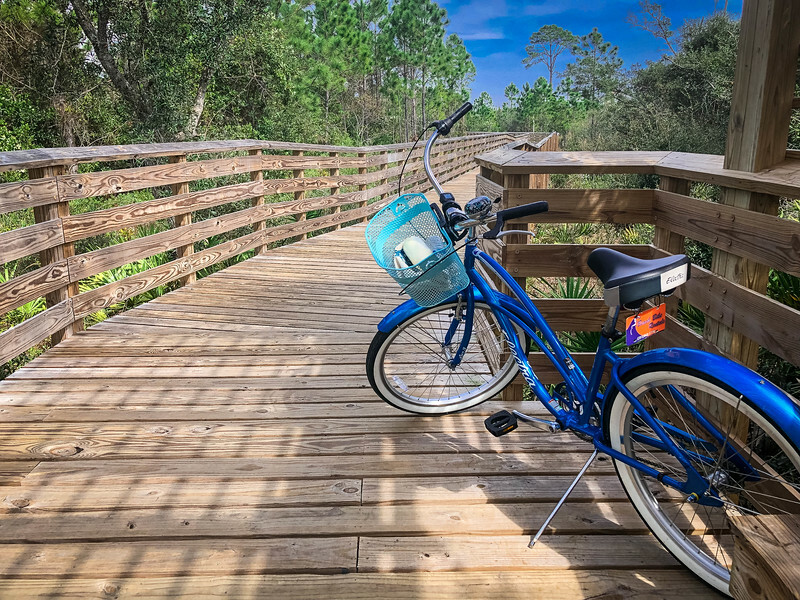 Tandems, trikes and other bike options are available but once you have your bike with accompanying basket and lock, you are ready to hit the trails and start exploring. As you wander through Alabama Beaches’ backcountry, you will find that these are a popular set of trails for locals and visitors alike. 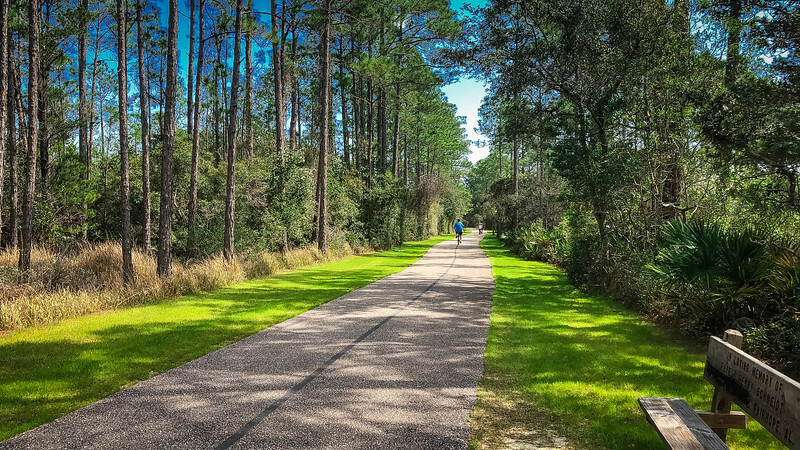 Full of walkers and bikers, these trails are the perfect place to enjoy the outdoors while burning those extra calories. Follow the map to find your perfect route or simply allow spontaneity to take over and see where the trails take you. 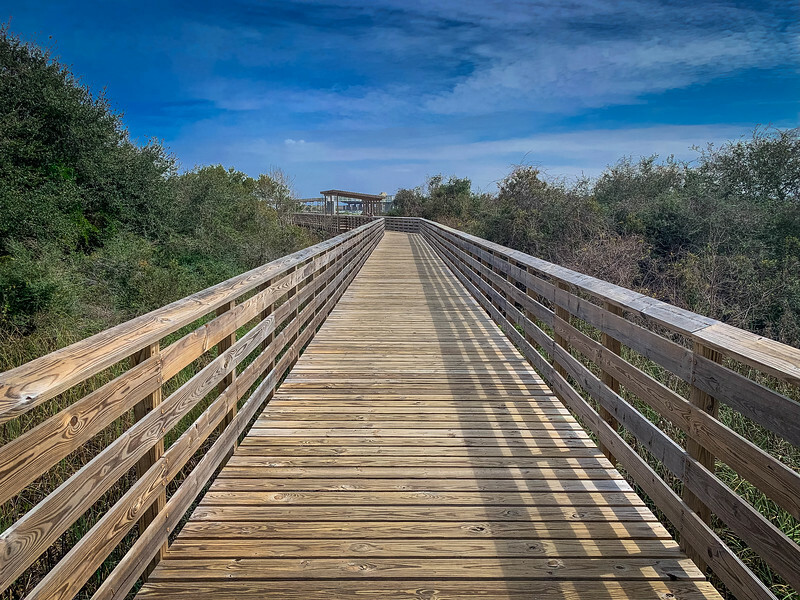 After visiting Orange Beach for the first time several years ago, a relatively new addition is the new boardwalk that crosses the lake and this is bike-friendly offering gorgeous views across the natural habitat for a plethora of wildlife. 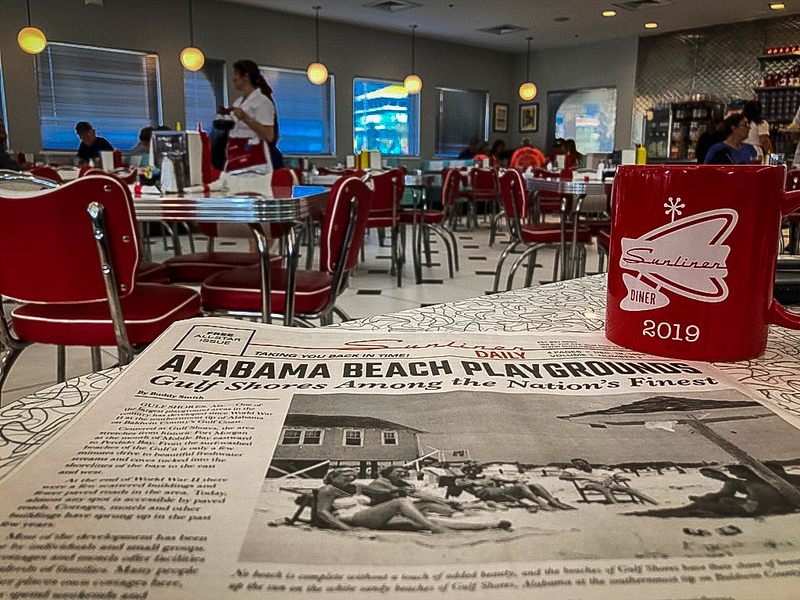 For those of you that golfed and biked your way around Gulf Shores and Orange Beach, get ready to recuperate some of those calories by visiting an awesome 1950s inspired diner in the heart of Gulf Shores. 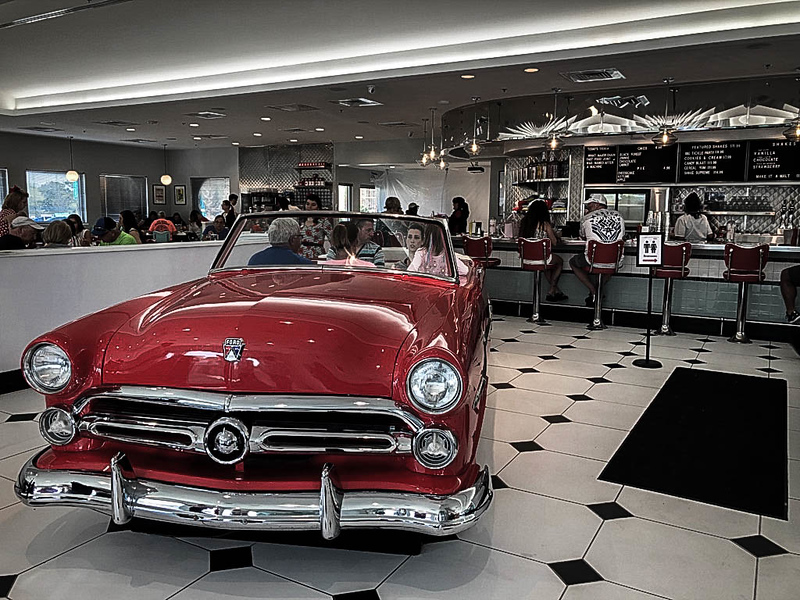 The “Sunliner Diner” turns back the clock to the 1950s era by introducing visitors to this trendy “diner” experience where you can enjoy breakfast, lunch, dinner or even just a milkshake at the bar. 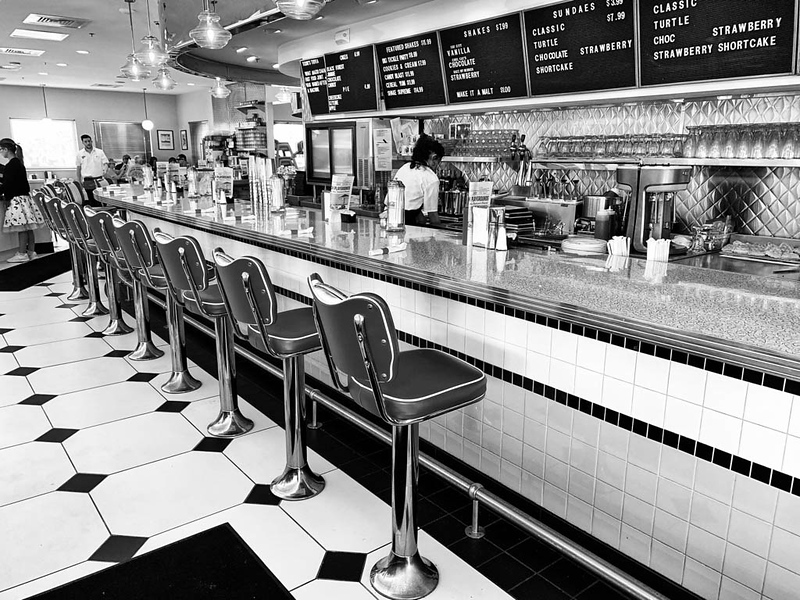 In our opinion, the best time to visit the Sunliner Diner is for breakfast. Please don’t start counting your calories when you visit here because this food is delicious. 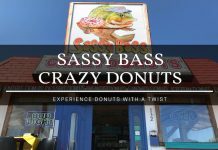 You may find that you want to visit here and then hit the Backcountry Trails and burn a few extra calories but first, it’s all about enjoying breakfast 1950s style. 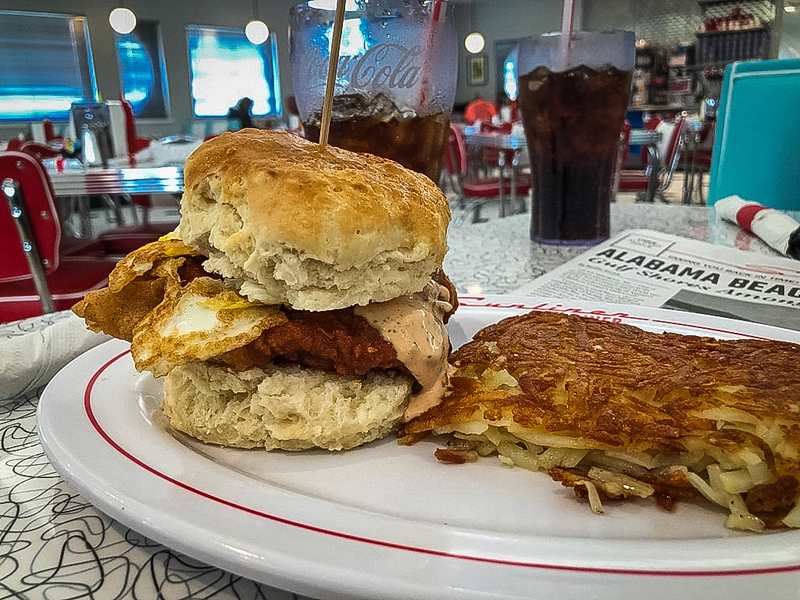 The infamous “Sunliner Biscuit” is a great choice and each of the biscuit sandwiches is served with sweet Vidalia onion hash browns. Heather opted for the Country Chicken Biscuit, featuring country fried chicken, a farm fresh fried egg and sausage gravy. Ask for it a little extra spicy, you won’t regret it! 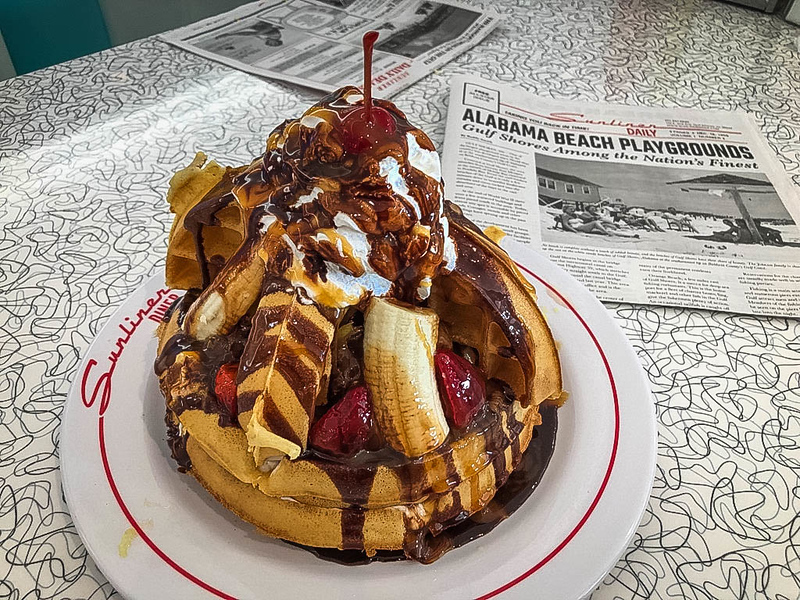 In my opinion, the ultimate breakfast experience at Sunliner Diner is the “Breakfast Banana Split”…a “healthy” (coughs!) combination of crushed pineapple, strawberries and banana with whipped cream, pecans and a cherry, all on top of three waffles and drizzled with chocolate and caramel sauce. Don’t worry, there is plenty of food here for two or three people! Get ready to have some folks gaze over to your table because it’s a pretty impressive sight when the waiter brings over this concoction. 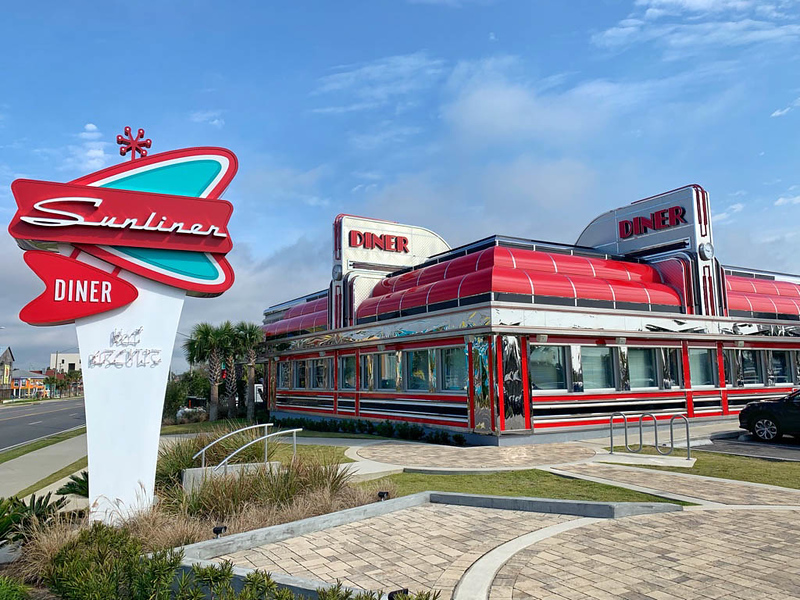 Rather than inundating you with recommendations on where to eat in Gulf Shores and Orange Beach, we wanted to focus our attention solely on Sunliner Diner just because we think it’s such a cool place. 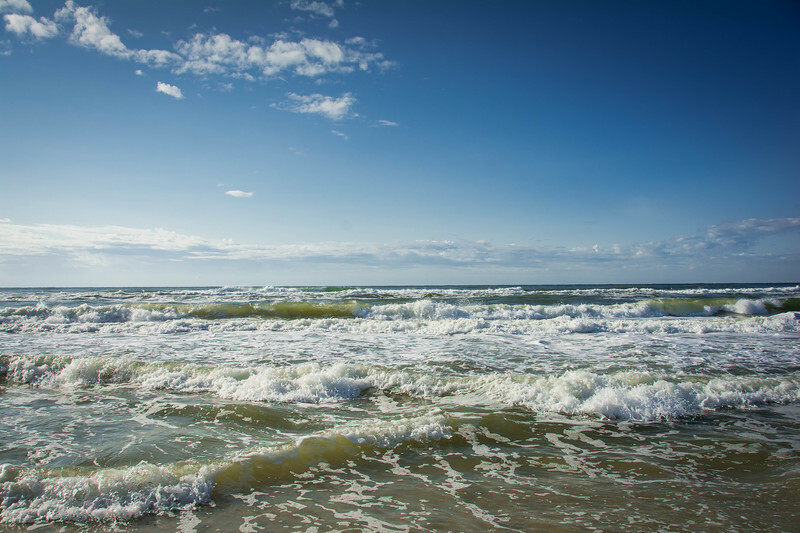 Visiting Gulf Shores and Orange Beach is always a good idea in our opinion, regardless of the time of year you choose to visit. But during the spring season, you can experience everything there is to love about this stretch of Alabama coastline without having to worry about the searing summer temperatures. Although visitors to GSOB have plenty of accommodation options, in our opinion, Turquoise Place by Spectrum Resorts is a no-brainer. It epitomizes everything there is to love about a luxury resort and definitely emphasizes the “you get what you pay for” philosophy. Sure, it’s not the cheapest place to stay but when you stay here, you realize that your money is well spent and you will likely be raring to book a return trip. 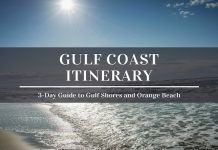 We have found that Gulf Shores and Orange Beach is a great place for a long weekend getaway because there are so many customized itineraries that you can put together, dependent on personal interest. 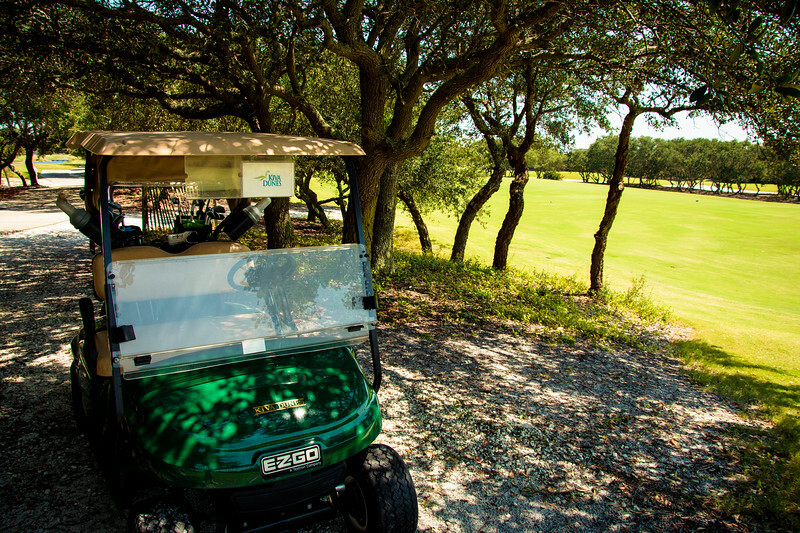 We focused on golfing, biking and relaxing at Turquoise Place during this trip but if you love arts/culture, sailing, extreme adventure sports and the “foodie” scene, GSOB has a little bit of everything to satisfy your needs. And this folks is why we #ChooseSpectrum every time we plan a spring trip to Alabama! 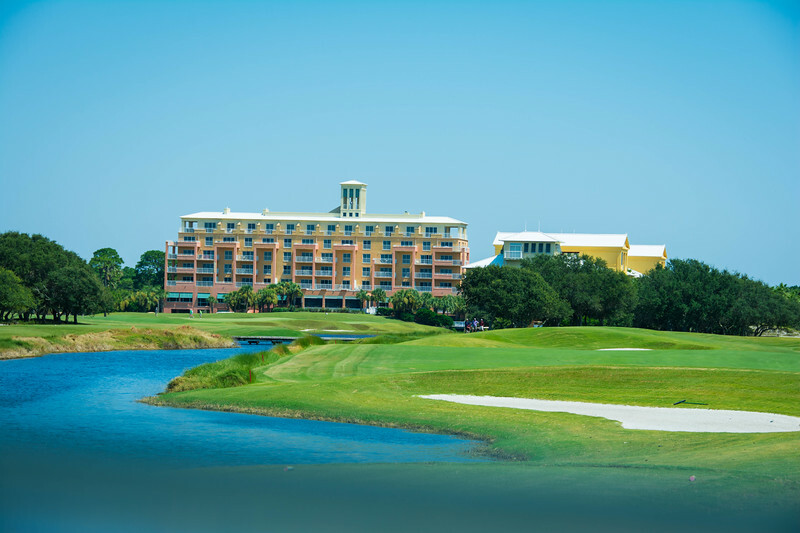 Disclaimer – We would like to thank Spectrum Resorts, Kiva Dunes, Beach Bike Rentals and Sunliner Diner for hosting us on this trip. 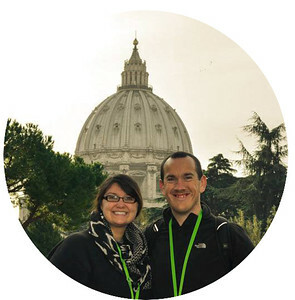 These are solely our personal opinions/experiences and we were not financially compensated for this post. We spent part of our Spring Break in Gulf Shores last year and really enjoyed it. It was my first time to this part of Alabama and it’s a very fun and beautiful part of the country. I’d love to return. My favorite of all your photos is the one of the pier. The lighting and angle is wonderful. There’s so much water here — gulf, pools. And I would for sure want to explore by bike. I’m surprised at how much there is to see in Alabama.